Google Hangouts, which is kind of a Slack like alternative by Google was not doing well and there were reports circulating which stated that the service was going to be shut down by 2020. Now Google has said that these reports were not true and that Google has made no decision to shut down Hangouts. 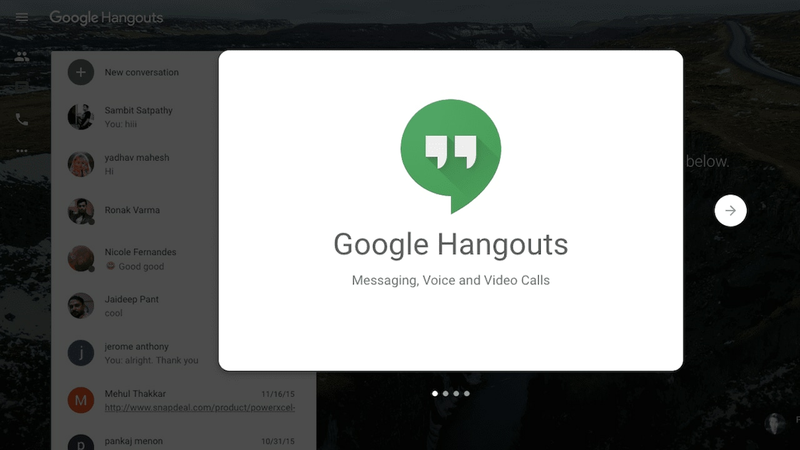 In a tweet by Google Real Time Communications product lead Scott Johnston, it was explained that current Hangout users will be transitioned to Hangouts Chat and Hangouts Meet. What this would actually mean is that Hangouts as an independent app would cease to exist. Apart from this, the transition to Chat and Meet for regular Google account holders are also going to be troublesome as both of these apps are enterprise-focused services that require G Suite accounts. A follow-up to his earlier tweet also stated the fact that Google has rechristened Google Hangouts as Hangouts Classic earlier on and while that Hangouts Classic would shut down, the support for the product will not. Scott also stressed the fact that this migration process from Google Hangouts Classic will be invisible to the current set of users. Google had stopped giving essential development updates to Hangouts some time back but Johnston staunchly defended the platform claiming that "not only corporate or enterprise users, but individuals too, regularly use such platforms." At present, Google supports several apps that provide more or less the same function such as Google Duo, Allo, Hangouts, Messages, and more. Many users are of the belief that Google should in fact be unifying these products under one platform.